Not all websites are created equal, and not all industries have the same needs. 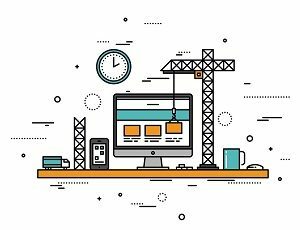 While the basics of a website are usually true between all industries (front, services, about us, and contact page), many industries benefit greatly from additional specialty pages tied to their industries and services. These benefits can include higher page ranking due to page SEO, better sale funnels and lead generation, better clarity for users, and an easier time for your sales team due to more automation. Let’s look at some key pages you may need in your industry. Do You Produce Ready-to-Ship Products? From brownies to bunk beds, if you produce products that have fixed pricing and the ability to be shipped to consumers, you should have an online store on your website. From there, your options depend on your needs and existing contracts. You can build a store from scratch on your website, or use it as a portal to a third-party website or app. Also useful for delivery or pickup from restaurants. Do You Trade in Knowledge and Expertise? Do you provide services that fall into the realm of consulting or expert knowledge? It’s time to think about adding a blog feed to your website. By stocking your website with blogs that show your expert knowledge, you’re doing two things: providing a resource to potential buyers and improving your SEO (Search Engine Optimization) by using the right keywords in your blogs. Do You Provide Multiple Services? If you provide multiple services, think about producing a pillar page that can act as a landing page for your services. From that page, you can have links breaking off to the individual services. Your pillar will act as a great place to send potential clients, while the individual pages can be targeted in social media posts or ads dealing with those specific services. Do You Provide Custom Services? Do your services require online or in-person consultation before a deal is made or a contract signed? Think about creating a consultation page. While a contact page provides contact information and a limited form, a consultation page can ask exhaustive questions to provide your sales department with a better client scope before they call or visit the location. This is especially useful for contractors. Lastly, is your service based on a time-sensitive service located at your business? For services like restaurants and other services that juggle multiple users and limited room, think about implementing an online reservation page. Just like with stores, this can be based on your website or through a portal to a third-party app. We hope that helps you understand how you can turn a general website into one that is specifically optimized for your industry and services. If you’re looking for a new website or to update your current one, give us a call at Vision Advertising. Beyond website design and development, we also can help you develop a powerful brand on social media, advertise effectively online, and much more. As a full-service digital marketing agency, we usually modify WordPress templates to meet the website needs of our clients — including ourselves. If you’re interested in learning more, feel free to reach out to us on our contact page. Thanks! I find it’s best to start with doing research (or collecting your own internal thoughts on the matter). From there, select a term as your keyword and create a header outline of your blog. Then it’s just about filling in paragraphs.